So take note, AMP3 (who?). 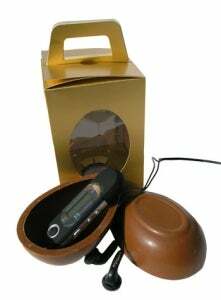 As part of an Easter, or just plain stupid campaign, AMP3 has decided to put their Inovix IMP-11 MP3 player in a chocolate egg. The player normally sells for $20, but wrap it in the chocolate egg and the combination now sells for approximately $40. In related news, AMP3 will be looking for a new marketing director sometime in April.